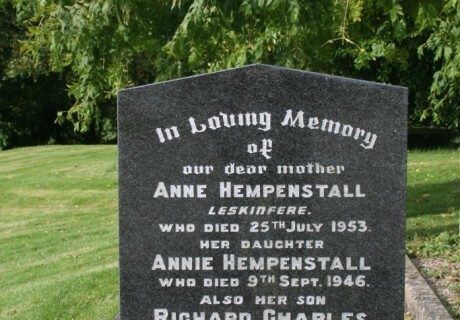 In loving memory of our dear mother Anne Hempenstall Leskinfere who died 25th July 1953. 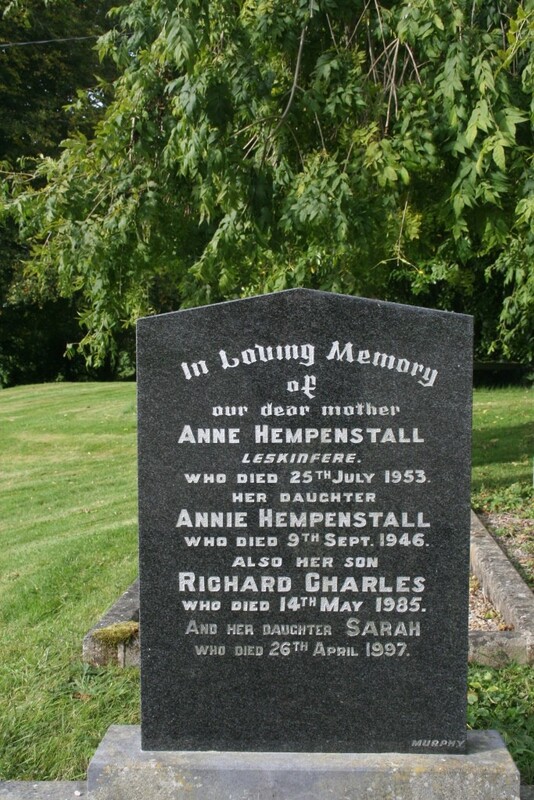 Her daughter Annie Hempenstall who died 9th Sept. 1946. Also her son Richard Charles who died 14th May 1985 and her daughter Sarah who died 26th April 1997.